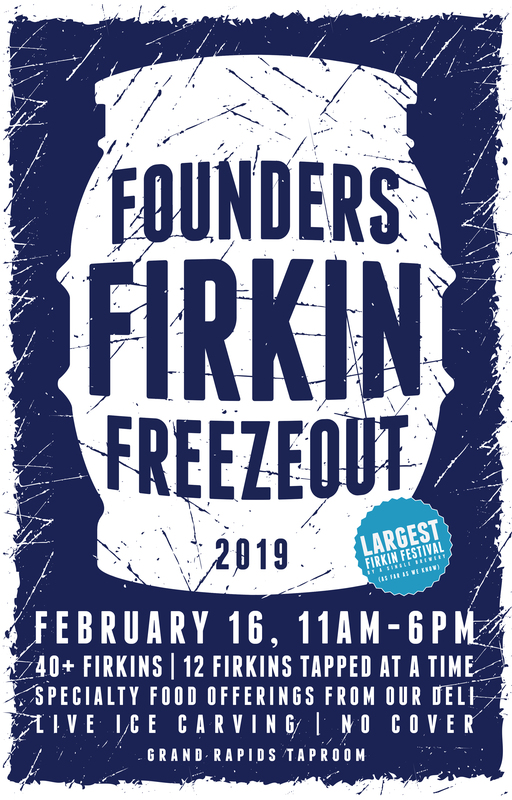 Sixth Annual Firkin Freezeout 2019 - Founders Brewing Co.
We invite you to the Sixth Annual Firkin Freezeout on February 16, 2019! Firkin Freezeout is one of our most unique and favorite parties of the year. It’s an outdoor, all-ages event taking place in our spacious Beer Garden and features over 40 expertly-crafted firkins, special food offerings, live ice carving and more! There’s no cover for this 11am-6pm event: just show up, bundle up, drink up, and live it up! Get there early as the first 12 firkins tapped will be up for judging to see who makes the best firkin in the cellar. Guests will vote on their favorite with a winner’s ceremony taking place at 3pm!